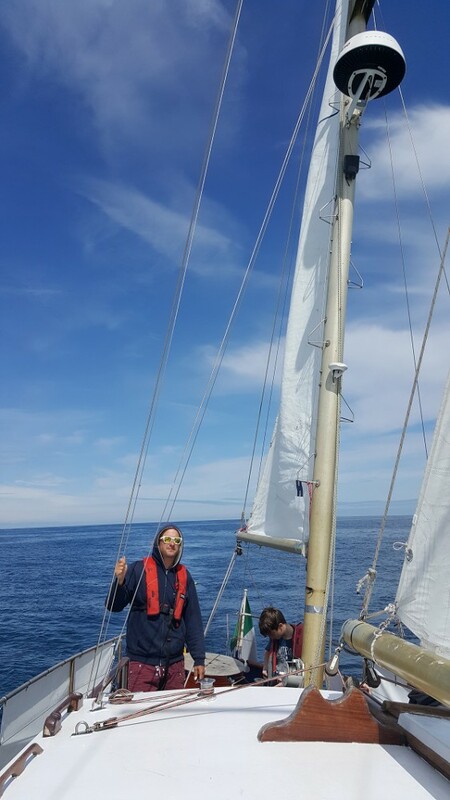 The last part of the Ireland to Iceland 2018 Expedition to Iceland, having surveyed for whales and dolphins all the areas we planned to, was to bring Celtic Mist safely back to Ireland. On the outward passage the skipper and crew brought her straight from Dublin to Heimaey in the Vestmannaeyjar. For the return passage we planned to visit the Faroe Islands and Outer Hebrides in Scotland on the way back. Following a long drive to and from Reykjavik for crew changeover (24 hrs of driving including short nap at airport !) 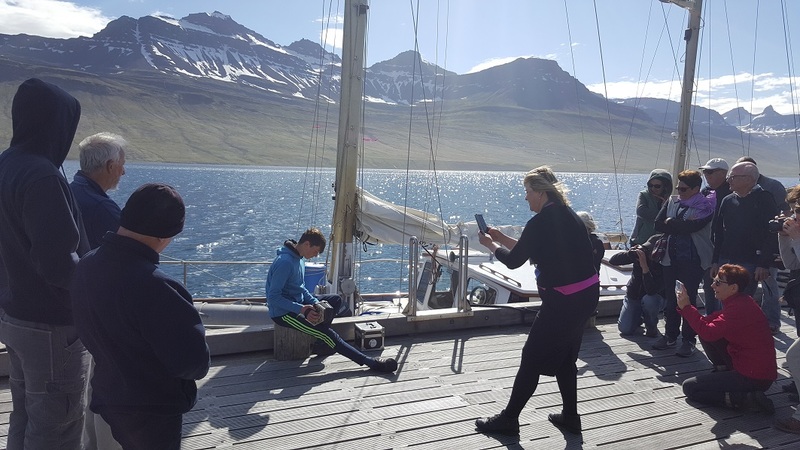 the fresh crew arrived at Eskifjörður on the Monday evening. 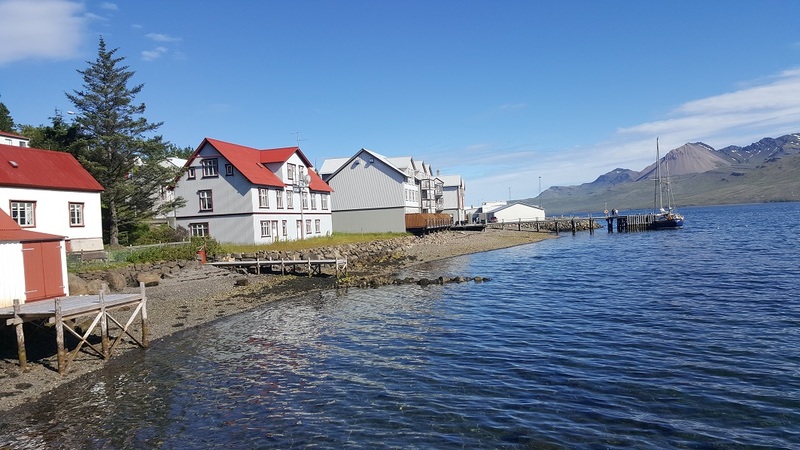 After taking on water, fuel and provisions we left Eskifjörður for Fáskrúðsfjördur as skipper Mick O’Meara had an invitation from the owners of a hotel while in Dalvik to visit them, and the weather forecast was too poor to attempt the two day passage to the Faroes. We ended up berthed at the head of the pier outside the Foss Hotel in Fáskrúðsfjördur for three days awaiting a weather window. We soon became well-know in the town, walking the streets, visiting the hot tub and playing music in the hotel. The townspeople were very good to us but we were itching to get away on the long passage home. 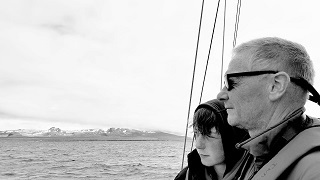 Finally the weather broke and we were on our way to the Faroes. Bumpy night passage with a few casualties but the looming northwest cliffs of the Faroes came into sight in the morning and the port of Eiði was made. The following day after waiting for the tidal gate between the islands we made the capital Tórshavn. 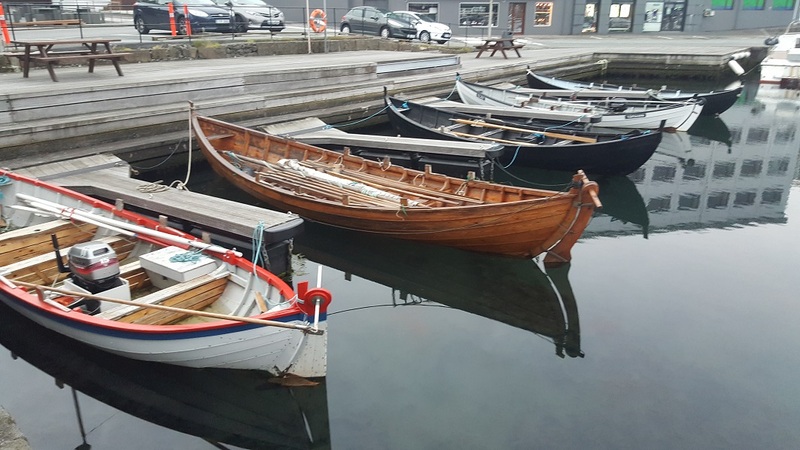 Lively town, with more maritime activity such as rowing, (which is the national sport) and sailing than we witnessed in a month in Iceland. 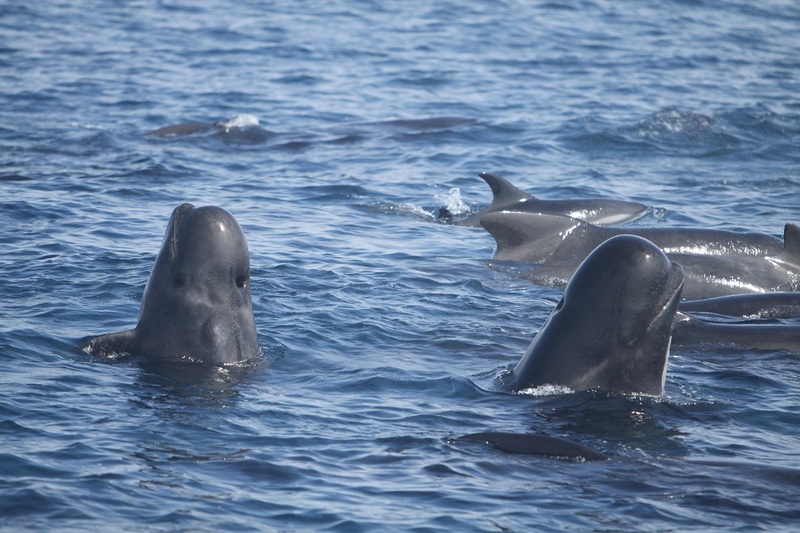 Groups of long-finned pilot whales, some with bottlenose or Atlantic white-sided dolphins amongst them joined us as we crossed the Faroes channel and distant fin whale blows were seen too. Obviously a very biologically active area. 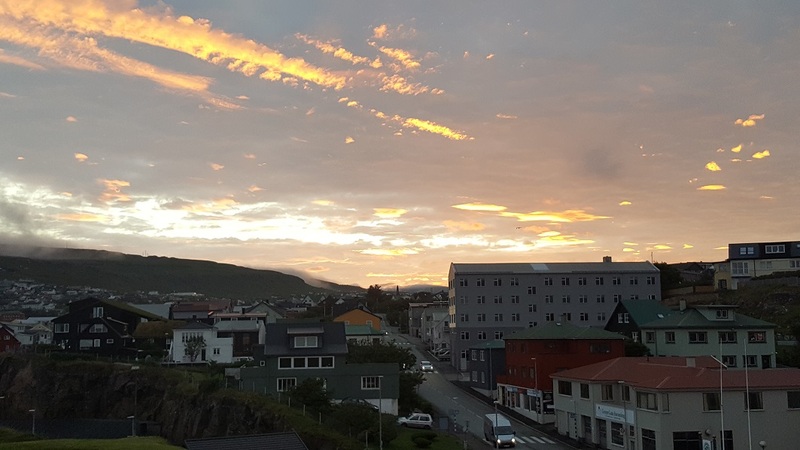 Having lost time in Fáskrúðsfjördur, we had no time to see more of the Faroes, which was a shame, but another night passage south to St Kilda was on offer. 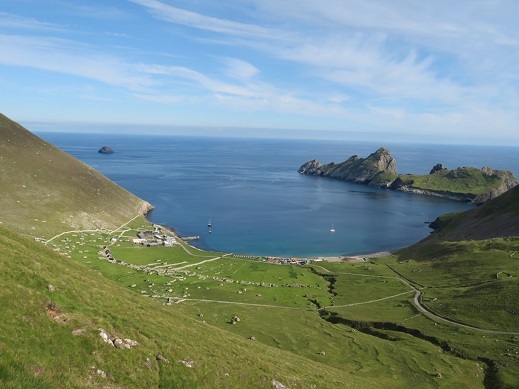 St Kilda is an iconic island 40nmls off the west coast of Scotland and is hard to visit due to its remote location. A few hours ashore on St Kilda then another night passage to Barra in the Outer Hebrides. Nice island and a 24 hr wait for strong winds to pass before a night passage to Derry. Two great encounters with Risso’s dolphins were the highlight of Scottish waters and a welcome by the “Barra Boys”, a small resident group of bottlenose dolphins off Barra Island. We were glad to see the cliffs of the Inishowen peninsular. 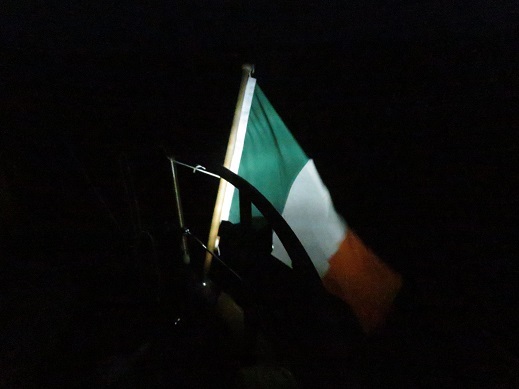 I was tired after six weeks on the go and Tony Whelan, who had hardly left the vessel in the near eight weeks since Celtic Mist left Dublin was also drained. Thanks to Mick and the crew for safe passage. 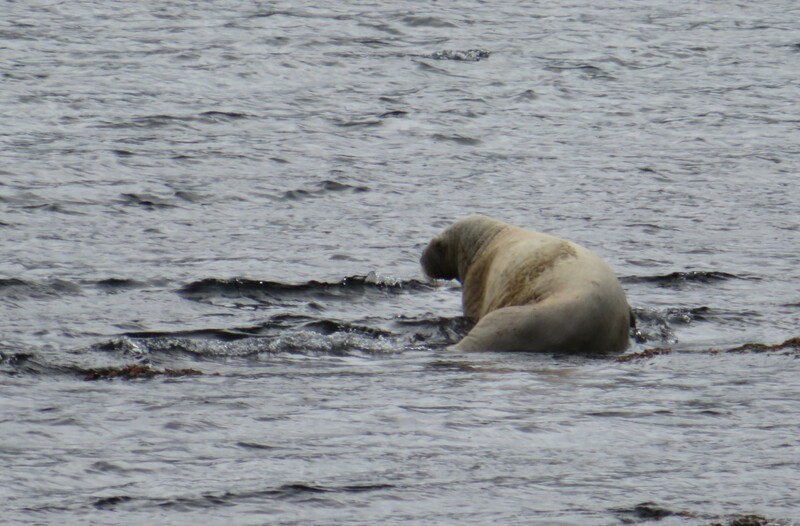 So after 4000km of travel we had 94 sightings on effort. Most sightings (25) were of humpback whales, the target of the expedition. Around 80 individual whales were identified from fluke shots during these encounters. 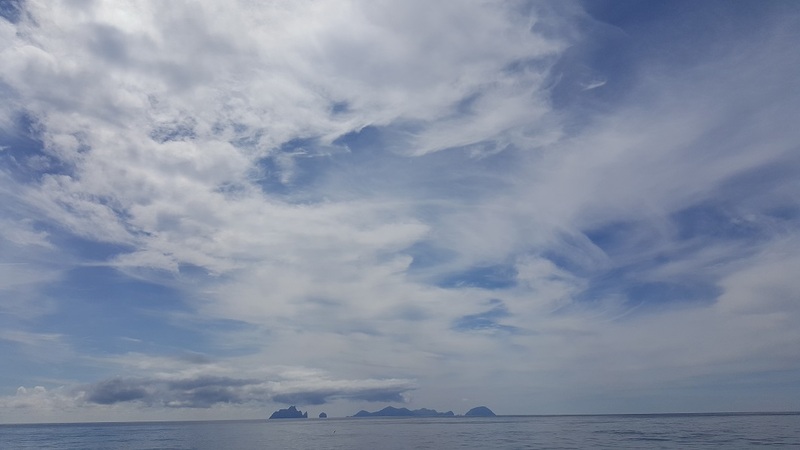 The next most frequently recorded species were white-beaked dolphin, minke whale and harbour porpoise, which are the most frequently recorded species in Iceland. However we had 13 species in total including fin and bottlenose whale, Risso’s, bottlenose and White-sided dolphin, all interesting records to add to knowledge of cetaceans in the NE Atlantic. IWDG successfully completed their most ambitious project to date. It’s no mean feat to sail to Iceland, circumnavigate three-quarters of this large and remote volcanic land with volunteer crew and skippers. Record and document so many sightings and fluke images and meet and listen to many interesting locals and visitors to this increasingly popular destination. Obviously issues like whaling were discussed a lot and whatever the Icelandic people decided they are now more aware that they share a whale population with Ireland and decisions should be made with respect to our shared responsibilities. A Cruise Report will follow in due course and circulated to all those interested. 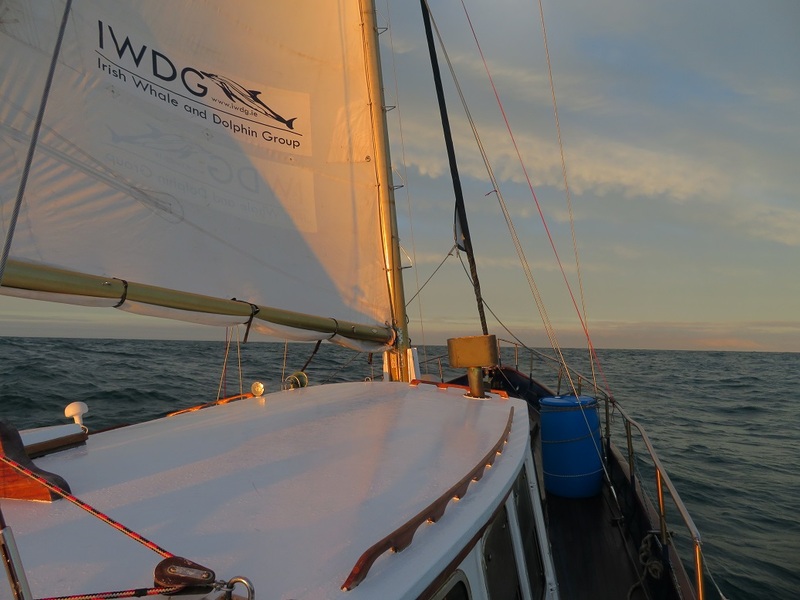 The IWDG would like to thank all those who participated in the expedition skippers Liam Quinn, Paul O’Neill, Pat Hartigan and Mick O’Meara, First mates Seamus MacGearailt, Gerry Flaherty, Fiacc O’Brolchain and Marie Keohane and crew Emmett Johnston, Jane Holland, Annette Morrissey, Irene Reidy, Karen Wilkinson, Pádraig Whooley, Tom Grove, Alyssa Stoller, Paul Kiernan, Brendan Quinn, Frances Bermingham, Rónán, Cúan and Muireann Berrow, Joanne O'Brien, Barry O'Donoghue, Conal O'Flanagan, Paul Mitchell-Lees, Rachel McNicholl, Noel Daley, Joe Shinkins, Linda Ffrench and Lorraine Smith. 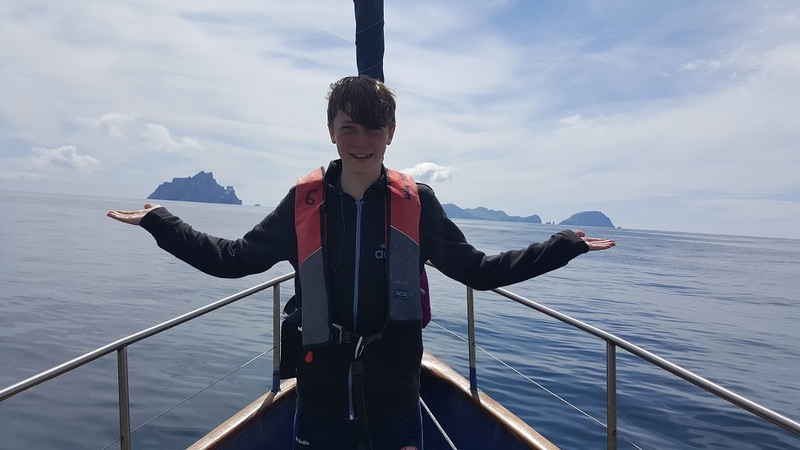 Big mention to Inis, Fragrances of Island for their sponsorship, Tony Whelan for documenting it all on camera and Fiacc O’Brolchain for making Celtic Mist “Iceland Ready” over the winter.